donuts make my knees weak. 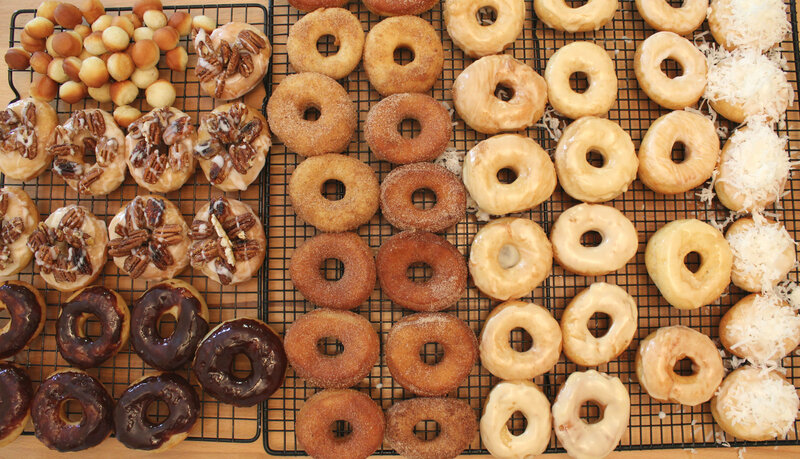 apple fritters, devil’s food cake, french crullers, custard-filled, maple-glazed long johns. 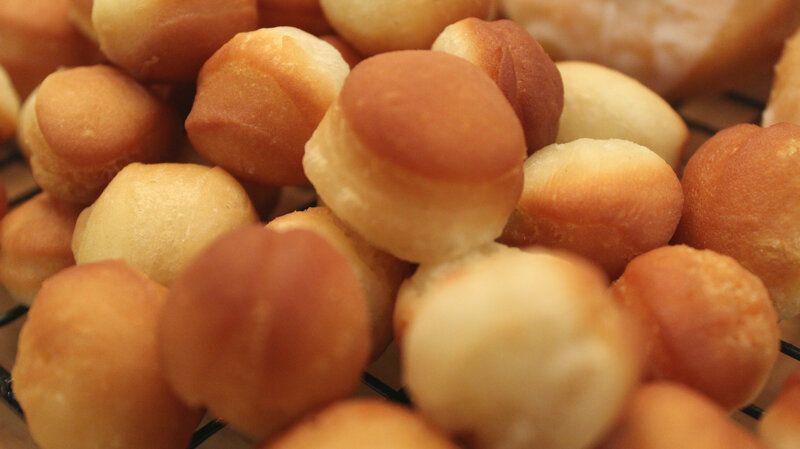 the simplest of pastries, cloyingly sweet; a subtle crunch and a soft sigh giving way to a moist and delicate crumb. endless possibilities. one of my favorite pastimes while on vacation is tracking down the best donut shop in the area. 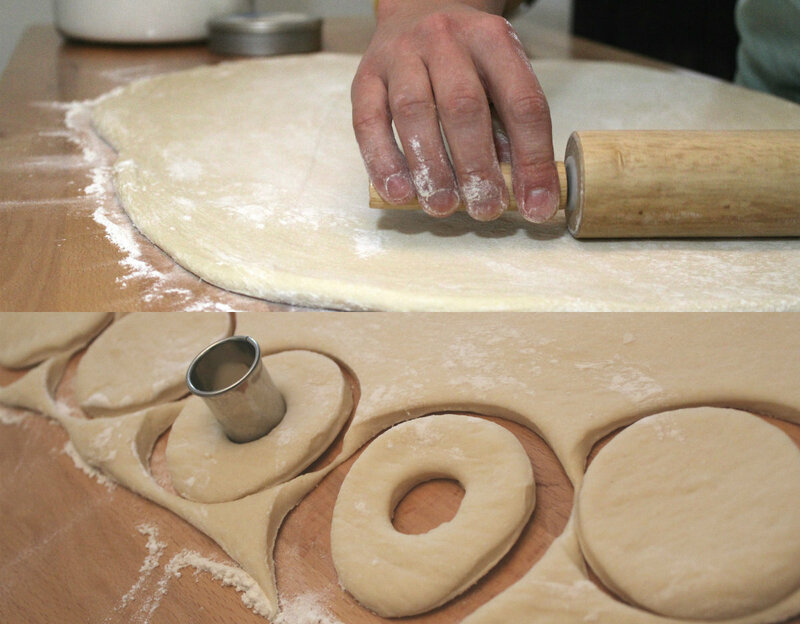 it’s usually a hole-in-the-wall mom and pop bakery that’s been open since the 1950s with a veritable army of grandmothers bustling around behind the counter filling orders for customers that have been regulars for decades. the girl and I found our favorite donut shop of 2013 after a day of swimming to beat the heat in austin, texas. we happened upon this little bar while looking for a late night bite — what we found was donuts. 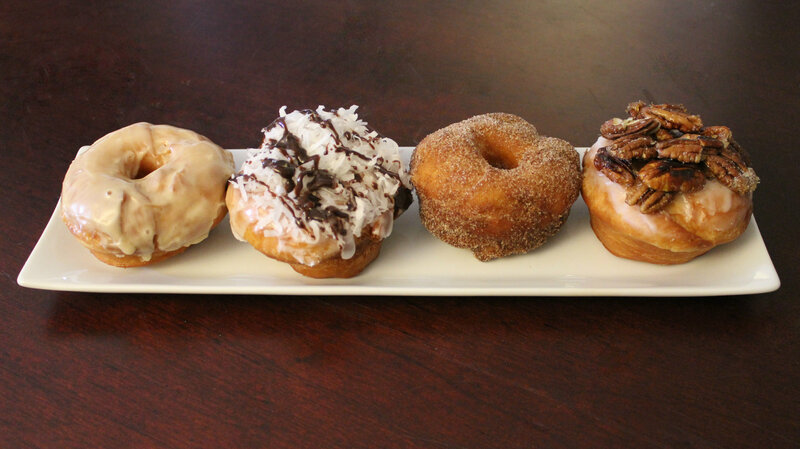 and i promise that you’ve never had donuts quite like these: the mother clucker (fried chicken and honey butter), the flying pig (bacon and maple syrup), and the funky monkey (grilled bananas and cream cheese). 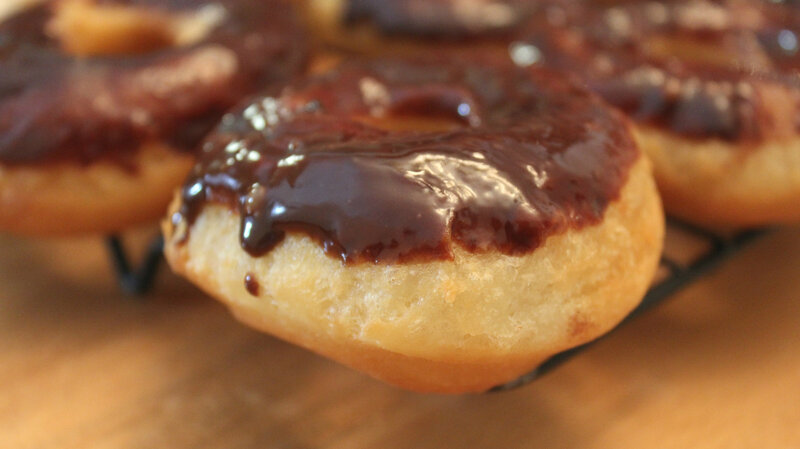 an afternoon spent wistfully pining for donuts two thousand miles away inspired this post. 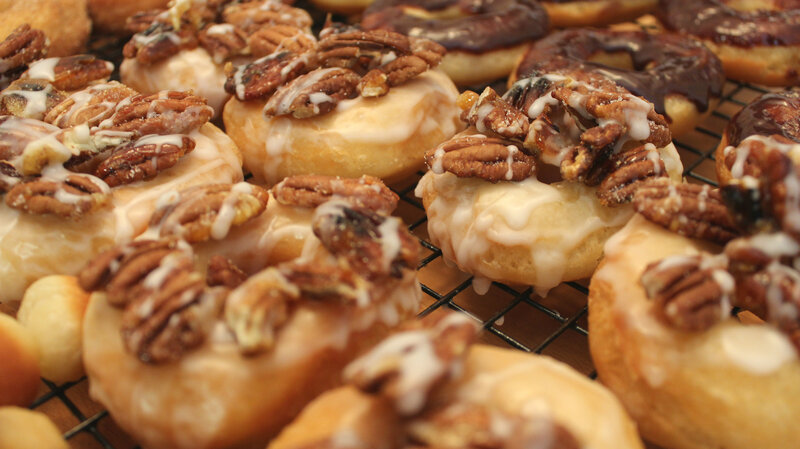 we opted for more traditional toppings in more reasonable portions, but these donuts will get your parasympathetics flowing nonetheless. 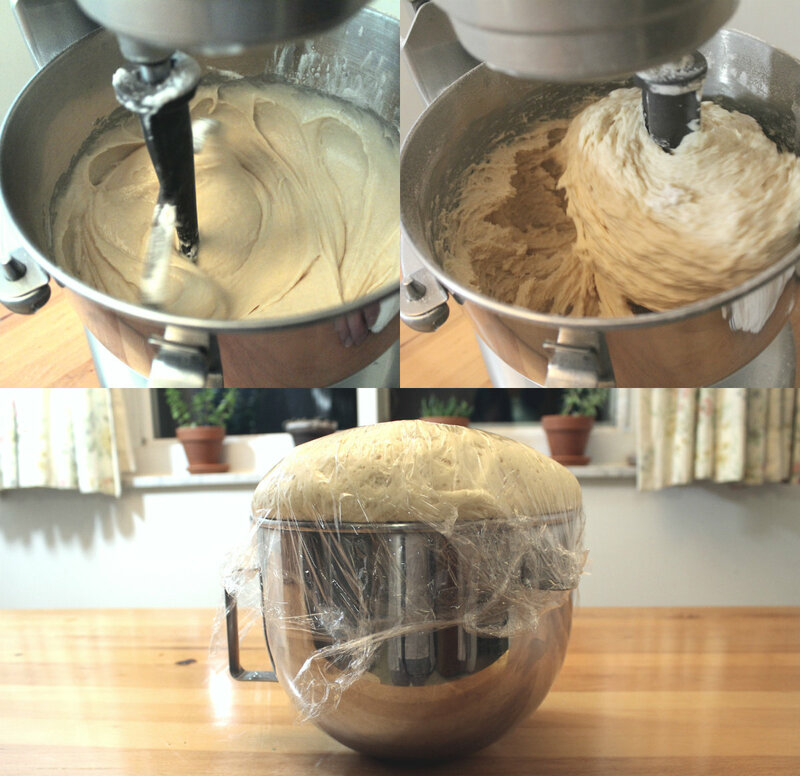 -combine yeast and water, stir gently, let sit for 5 mins. 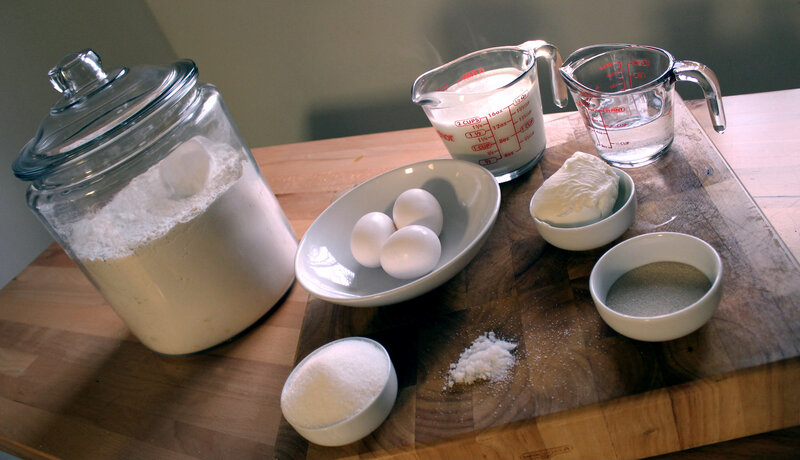 -add milk, four cups flour, and yeast/water mixture. beat til smooth, approximately two minutes. add the remaining flour one cup at a time, beating til smooth then let rise for 45 minutes. roll out 1/2 inch thick. 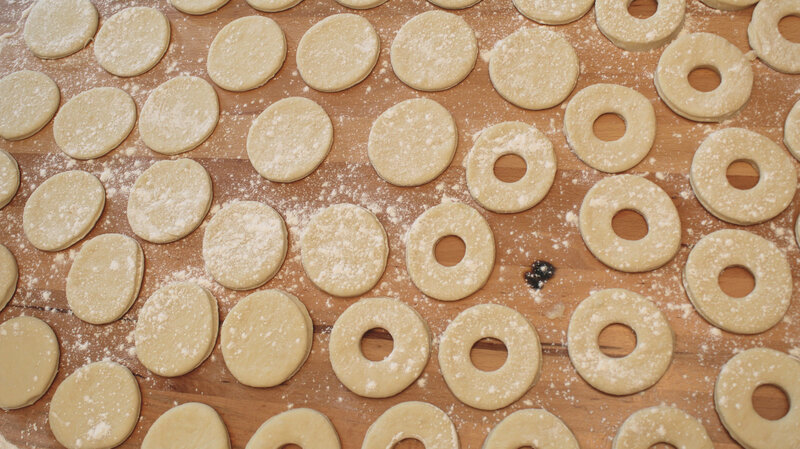 using circular pastry cutters, cut concentric circles. heat oil in a pan to 350 degrees. 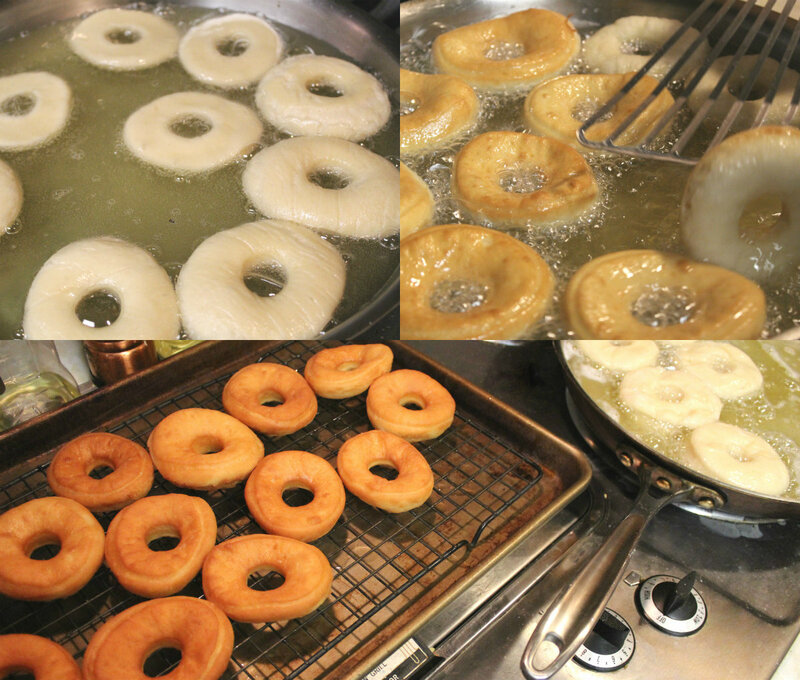 flip the donuts once (they get a little darker when you pull them out). now comes the fun part: top them. 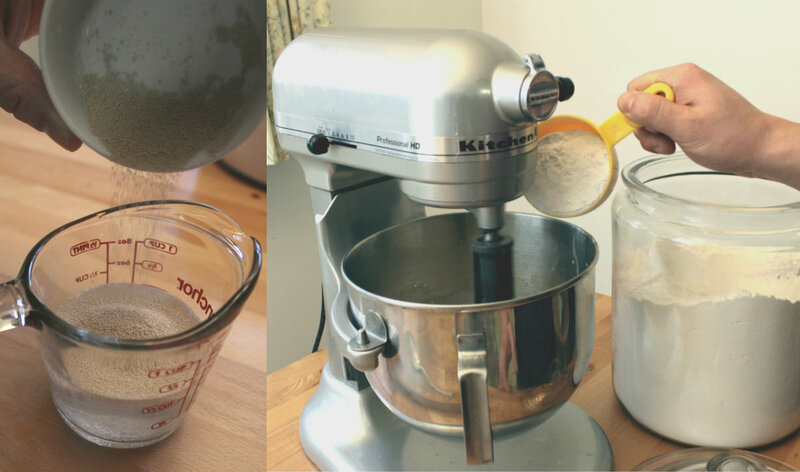 the simplest icing can be made by combining powdered sugar and water. we got a little more creative. girlfriend edit: prior to posting this blog, the chef drove 40 minutes to the nearest krispy kreme for a couple dozen of their raised & glazed donuts. he ate five while writing this. his really loves donuts, you guys. I have to have donuts now!